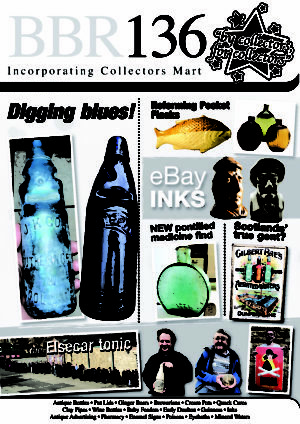 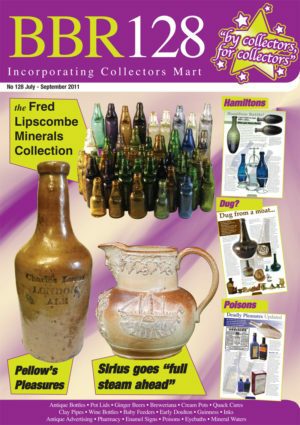 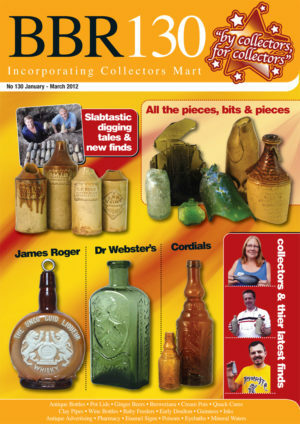 Still the worlds most influential and best selling quarterly magazine covering the entire gamut of Bottles, Pot Lids, Advertising & related items and an absolute ESSENTIAL read for any discerning collector interested in the subject. 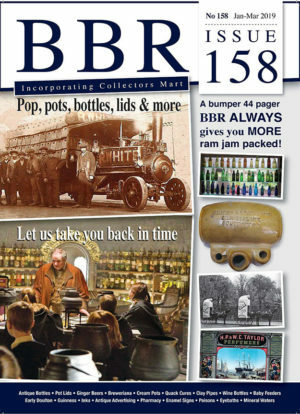 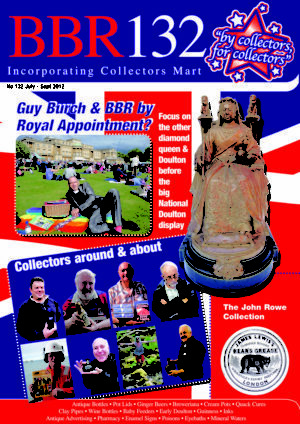 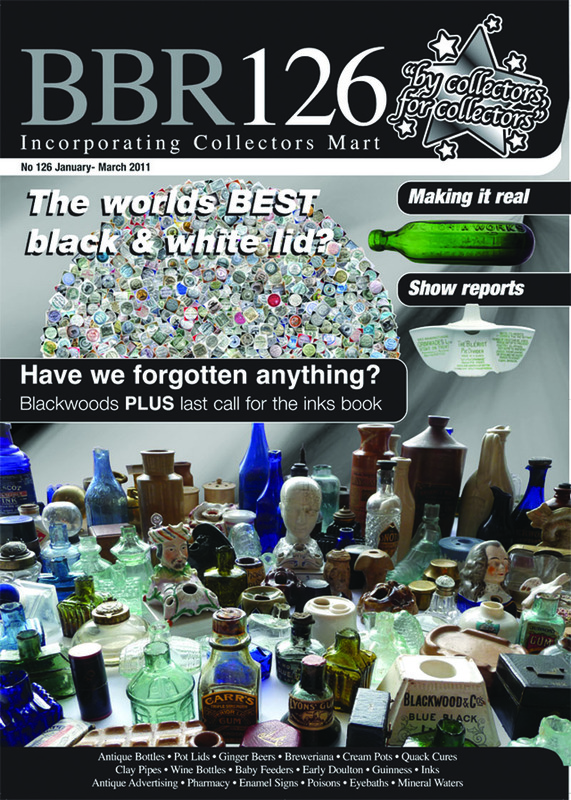 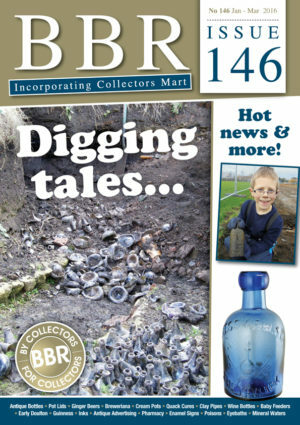 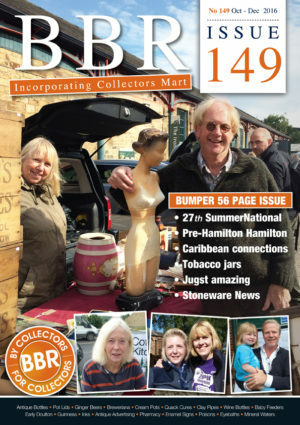 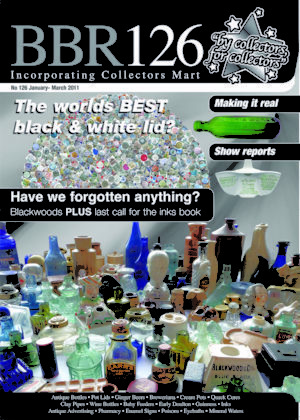 BBR was the worlds first ever FULL COLOUR specialist magazine devoted to all the latest news in the wonderful world of Antique throw aways, and so much more. Editor Guy Burch and assistant editor Alan Blakeman present refreshingly fresh, thoroughly researched articles & features, upcoming auction previews, latest finds worldwide, upcoming & past Show & Auction information, plenty of classified adverts (For Sale & Wanted). 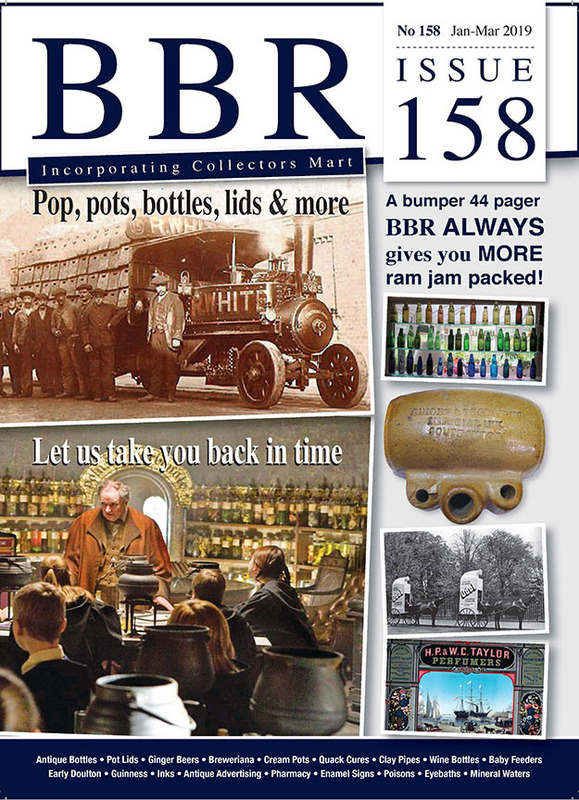 BBR magazine is profusely illustrated and graphically presented to a very high standard, held in high regard by collectords and many institutions around the globe. 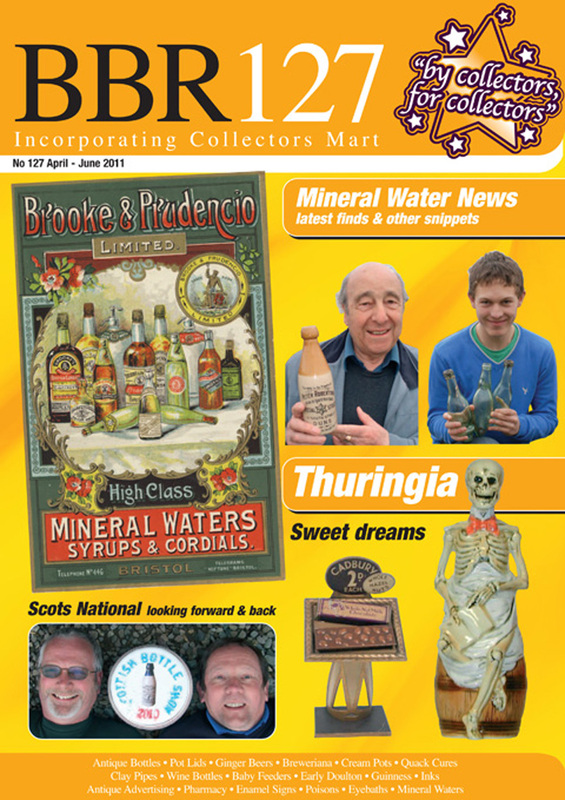 Subscription is for 4 quarterly issues – published March, June, September, December (no exact set dates) – the last issue containing a renewal reminder.